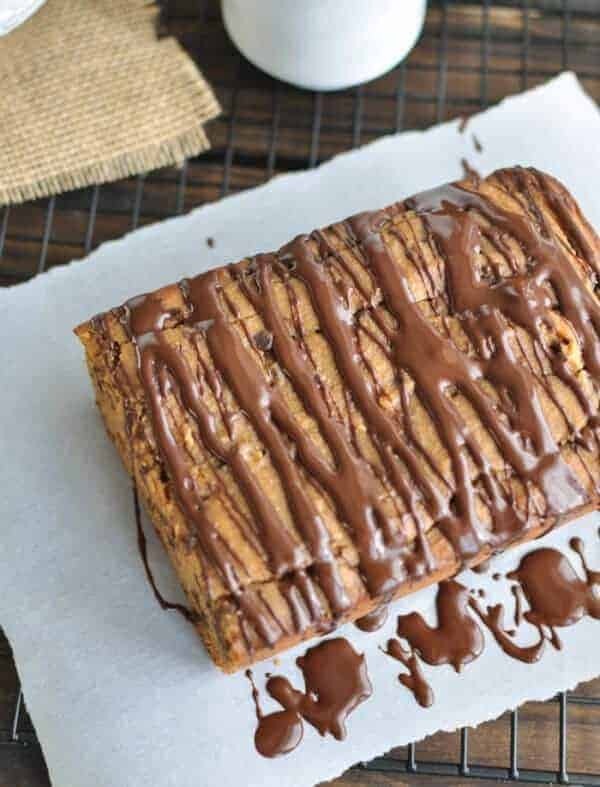 This Paleo almond butter bread is the perfect combination of almond butter and chocolate – but in bread form! Does life get any better? 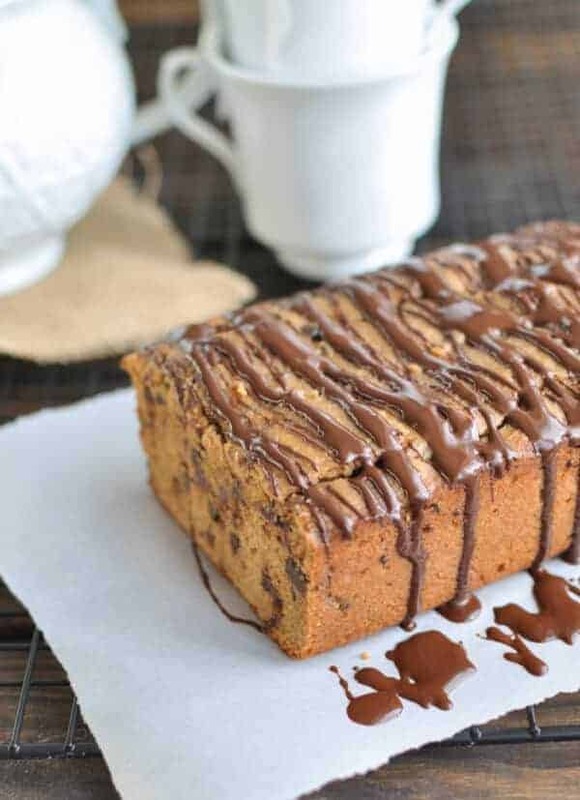 It’s like combining my three favorite foods (peanut butter, chocolate, and bread). Plus it is super easy to make! Happy Monday! I hope you all had a fabulous weekend. We spent most of the day Saturday “out of town” and we sure spent a lot of money in one day. Long story short – My 13-year-old daughter is pretty apathetic about almost everything but she started playing the cello this year in Jr. High and she really likes it. She actually practices and wants to keep playing and recently switched to a full-size cello so we figured it was a good time to buy her first cello so we bought her an inexpensive one we found on a local classified site. But it turned out to be a huge pain and very low quality and would cost more to fix it than we bought it for, but we were really lucky and were able to return it. So we asked my sister-in-law were she bought her daughter’s violin, because I had recently heard her daughter play and I could tell it was a really nice instrument, and she told me about Adam Day Violins in Murray, UT. I did a bunch of research found out it’s the best place to buy a string instrument. They hand make all the instruments and are really good at adjusting them to make even the less expensive ones sound amazing. Plus, even though they aren’t cheap, they cost way less money than instruments of comparable quality from regular instrument stores. So we made the trip to Murray on Saturday. 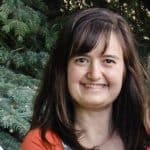 My husband and son had just gotten back from a Scout camp out that morning and my husband drove us all up there and dropped my daughter and me off at the store while we spent about two hours picking out a beautiful cello. We’re both so in love with it. I’m super broke but my daughter absolutely loves her cello. While we were cello shopping, my husband took the rest of the children to an indoor swimming pool nearby then they came and picked us back up and we went out for a nice dinner for my birthday on the way home. It was a nice, but exhausting day, especially because my son barely slept the night before and didn’t really eat much all day and he was really tired and in a really bad mood by the time we went out to eat. We were very happy to finally be home and get in bed that night. Anyways, we spent Sunday morning at church with my sister’s family for my nephew’s baby blessing. After church, we headed over to my sister’s home for a late breakfast. She asked me to bring bread or muffins, so I opted to bring this Paleo almond butter bread, and it was a hit! The entire loaf was gone before I had a chance to get myself some – which I was ok with! This bread not only tastes good but is really easy to make. I mixed it all together in one bowl and had it in the oven in less than 15 minutes…no mixer required (which is good, because I only own a lousy hand mixer that I hate using – I know the horror…no Kitchenaide or Bosch at my house)…. And just when you think it can’t get any better, this bread is grain-free, gluten-free, and dairy-free. 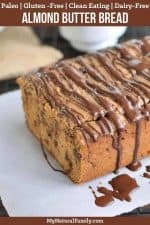 It is made with high fiber coconut flour, sweetened with applesauce and a small amount of pure maple syrup…so yes, it did get better, and no you don’t have to feel guilty about indulging in this bread! I would love to know what you did this weekend and if you tried this recipe and what you think of it. Please comment below! Sounds delicious, but the egg ingredient makes it not vegan. I usually use bobs red mill egg replacer in baked goods. Do you think that’s best or do you have another suggestion? Thanks! Oops. Thanks for catching that. Every once in a while I miss something like that. I’ve updated the recipe so it doesn’t say it’s Vegan. I usually just use a flax seed egg replacer but Bob’s Red Mill generally has great products so it should work well too. I made this fabulous Almond Butter Bread for our church coffee break this morning, It was an instant hit! We bake 7-8 different treats every week and all are labeled so people can see what they are selecting. We recently added our “Paleo” offering on a pedestal in the center of the table. There was not one piece left. I was fortunate to get to taste 1/2 slice and it was dense and moist. You could taste the mild almond taste and the chocolate was delightful. I baked this on Saturday and tasted a slice, which seemed dry. I left the cake in the pan, added the icing once it cooled, covered it and didn’t cut it until about an hour before serving. Leaving it in the pan overnight was the trick to keeping it moist. What a wonderful tip! I’m so glad it was so successful for your church coffee break. Thanks for taking the time to comment.